However, the documents needed for visiting a friend or relative is different from those required of tourists. Most travel agencies also charge a slightly higher price for it because it’s a little bit more complicated. But no worries, this visa guide will help you go through the entire visa application process. 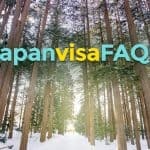 How to renew a Japan visa? 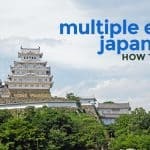 How to apply for a multiple-entry visa? 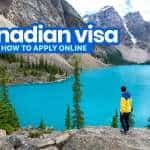 Do I really need a travel agency to apply? Can’t I apply on my own? Are flight and hotel bookings required to apply? How long is the validity of the visa? How much money should I have in the bank to get approved? Below is a list of the documents you need to gather for your visa application. Note that documents that need to be printed out (e.g. 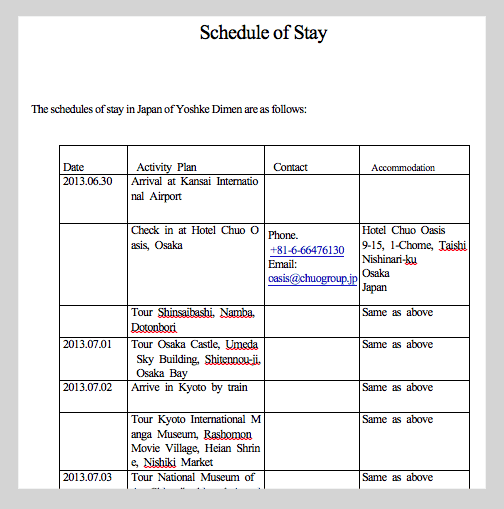 application form, itinerary) must be done on an A4-size paper. Philippine passport. Must have a signature and at least 2 blank pages. Broken passports are not accepted. Must have at least 6-month validity. A duly accomplished visa application form. Don’t leave any blank. Just put N/A if not applicable. You may download it from here. Birth certificate from PSA. Must be issued within the past one year from PSA Main Office or Serbilis Outlet Center (Nationwide). If the birth certificate is marked LATE REGISTRATION, you must also submit Baptismal certificate, School Record (Form 137), and School Yearbook (if applicable). The address of the church or school must be indicated in the documents. Marriage certificate from PSA. Only if you’re married. If not, ignore this one. Must be issued within the past one year from PSA Main Office or Serbilis Outlet Center (Nationwide). Accomplished list of Visa Applicants. Only if traveling as a group/family. You can download the form here. The list above are just the basic requirements. But there are additional documents needed depending on your relationship to the person you will visit in Japan. There are two types of visit visas. The first type is for visiting a Close Relative. The other is for visiting a friend or distant relative. The requirements are different. Emphasis on CLOSE. This applies to close relatives — parent, child, brother, sister, nephew, niece, aunt, uncle. Everything else falls under the distant relative category. Birth certificates to prove your relationship. Must be issued within the past one year from PSA Main Office or Serbilis Outlet Center (Nationwide). – Aunt/Uncle -> Niece/Nephew – BC of applicant + relative in Japan + parent of relative in Japan. – Niece/Nephew -> Aunt/Uncle – BC of applicant + parent of applicant + relative in Japan. Invitation letter from person to visit in Japan. Must be issued within the past 3 months. This must explain why you will be visiting and must have a signature. A template is available right here. Family Registration Certificate(Koseki Tohon). Only if relative in Japan has a Japanese Spouse or relative. Must be issued within three months. Ignore if not applicable to you. Residence certificate (Juminhyo) if your guarantor is Japanese OR Foreign Registration Certificate from City Hall if guarantor is not Japanese. Must be issued within the past 3 months. Copy of Residence Card or Special Permanent Resident certificate of relative in Japan. Copy of both sides must be submitted. Income tax return (ITR Form 2316). They need a clear photocopy of it. Bank certificate. Must be issued within the past 3 months. I’m not sure if they require a receipt, but I submitted the receipt too. To be safe, when you get your bank certificate, ask for a receipt too. There’s no telling how big a fund is “enough” to get approved, but (in case you’re wondering) my account had only a bit north of P100,000. I planned on staying for a week. I didn’t encounter any problem. Guarantee letter. Must be issued within the past 3 months. Income Certificate (Shotoku Shomeisho) from City Hall, Tax return certificate (Nouzeishomeisho: Form 2) from Tax office (Kakuteishinkokusho Hikae), OR Bank Certificate (Yokin Zandaka Shomeisho). Best if you have all three. Proof of Relationship. A letter from the person to be visited explaining their relationship to you plus other documents such as pictures, passport copies, etc. Invitation letter from the person you will visit. This must explain why you will be visiting and must have a signature. Must be issued within the past 3 months. If your friend/relative in Japan will sponsor your trip, you may not be required to prove you could afford the trip. The burden shifts to your friend or relative. Again, documents to be printed out must be done on an A4-size paper. Other sizes will not be accepted. All birth certificates must be issued within the past year by PSA Main Office or Serbilis Center. Submit the documents to an accredited travel agency. Unless summoned by the Japanese Embassy, you can’t apply directly at the embassy. You MUST course it though an agency. My go-to agency is Reli Tours for the only reason that it is the one closest to my home. Check out the list of accredited agencies here. Pay the processing fee. 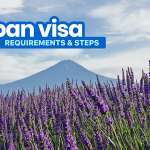 The actual visa is FREE, but you will need to pay the agency that will process your application. The cost of processing a visit visa is much higher than a tourist visa. Every agency charges a different amount, but it’s usually somewhere around P2000. That’s about it. After the agency accepts your application, the only thing you can do is wait. It takes 3-5 days, sometimes shorter, sometimes much longer. My most recent application took only 2 days. Some of our readers had to wait 7 days. You can’t really tell. Just wait for a message from your agency. When the embassy returns your passport to the agency, you should receive a message from the agency telling you to pick it up or that they’re sending it to you, depending on your prior arrangement with them. If it has a visa affixed to it, congratulations! If there is no visa, then your application is denied. The process is still the same. The only difference is you don’t need to submit a birth certificate and marriage certificate. But you will need to submit the passport with your old visas. Yes, you need a travel agency. Unless it’s a special case, all visa applications must be coursed through any of their accredited travel agencies. 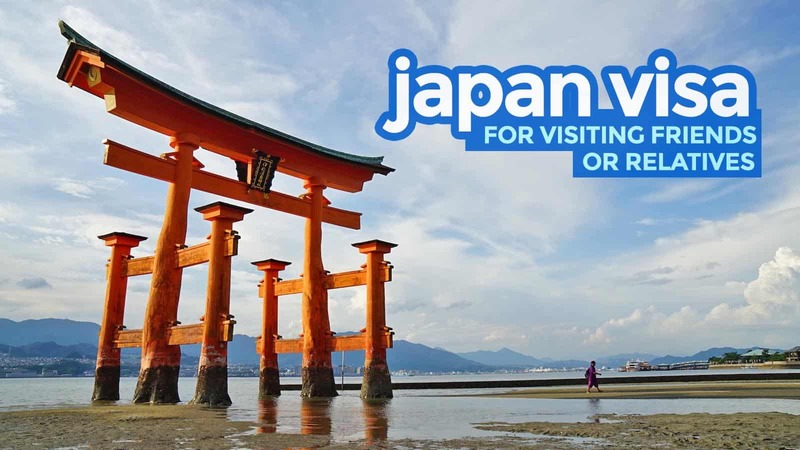 Here’s the complete list of officially accredited travel agencies: Japan Visa Travel Agencies. No. It’s not a requirement. And it’s not advisable. However, on the application form, you will have to write down the specific FLIGHT NUMBER and HOTEL ADDRESS you wish to take. It varies. My first time, 5 working days. Second time, 2 days. Then on my third and fourth times, 7 days and 2 days respectively. I know people who have waited weeks for theirs. Pretty hard to tell. Single-entry tourist visas are valid for 90 days upon issue and will usually allow you to stay for no longer than 15 days. 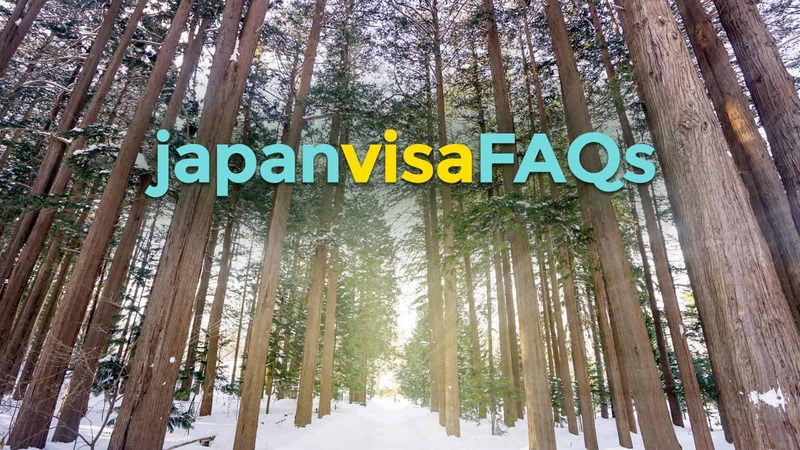 So for example, your visa is issued on January 1, you can enter Japan any time between January 1 and March 31, but once you enter, you can stay for only 15 days maximum. Multiple-entry visas will usually allow you to stay for up to 15 or 30 days, depending on what is given to you. But it’s usually valid for 3 or 5 years. Meaning, you can visit multiple times within 3 or 5 years since the issue date, but every stay must not be longer than 15 or 30 days. Hi! Ask ko lang if saan kayo nag apply? Then sure ba yon na 2 days lang processing? Thank you! Reli Tours kami nag-aapply. And nope, like I said in the post, you can’t tell kung 2 days or 3 days or 5 days. Depende yan sa case mo. I’m living in Japan and will be the guarantor when my friend visit me. I wonder about those documents I provide, like proof of relationship, should be written in English or Japanese? Hi Kangyou, the embassy provides both Japanese and English copies of the documents, so I guess either is accepted. :) My sister usually submits the English version, though. Can you please confirm me which documents are required for visit visa ? one of my friend living in Japan and I wanna visit his place Further If you have any information about visit visa please let me know. Hi Liz, nasa post yung requirements kapag may guarantor. Pabasa na lang po. What type of visa po kinuha nyo? With guarantor po ba kayo? Im planning to visit japan soon.. wala akong itr kasi unemployed nako pero may bank account ako. My fiance is in japan as a trainee plan namin na magstay sa apartment nya para makasave. Any suggestion po what reqts need ko and sa baby namin. If may guarantor, you don’t need to submit your ITR. But you need to submit yung docs needed from your guarantor, as listed in the post. Hi i am planning to bring my mother to Japan, i will be guarantor. My passport reads mothers name as “Santhi”(applied long back), whereas my mothers passport reads “Santhalakshmi”. will this be a issue. Please advise. Hi Abs, if you’re applying for a tourist visa, it would be best to just indicate a hotel and hotel address. If you’re applying for a VISIT VISA, provide her residence info. Hi, ano po ang mas ok i-apply, tourist or relative visa? malaki po ba ang difference nila 2? If you’re staying in a friend’s or relative’s house, best to apply as someone visiting someone in Japan. If you’re staying in a hotel, best to apply as a tourist to avoid complicating your application. Hello, just want to ask possible ba to apply for visiting a relative kung wala pang one year relative sa Japan? Wala pa kasing tax return certificate yun, right? Thanks. Hi Tin! Possible. The first time I visited my sister in Tokyo, wala pa rin siyang 1 year. Naka- OR naman ‘yun. Just provide the other docs instead. Hi! Do you have any ideas on why is the processing taking too long? My sister and I applied for a “Visit Relative Visa” for 90 days as we are invited by our Japanese stepfather (guarantor) and our mother who’s a permanent resident there, and it’s been a total of 45 working days since our application which was way back in April 2. It’s my first time to travel in Japan and it will be the third time for my sister. Sorry for the long message, and thank you! Hi Nina, sorry, we have no idea. :( Have you tried asking the agency that processed your application? What did they say? Well, we just called the embassy last Friday and they said that it’s still processing. It’s giving me the benefit of the doubt that maybe there’s a problem with our papers? (but they’re not calling or emailing us about it) or is it because we applied for 90 days? I’ve known a lot of people that applied for a 90-day visa, but got theirs just in 15 days or less. Also, we didn’t applied for a multiple-entry visa. I don’t know why is it taking too long. Do you think that our applications will get denied? BTW, thank you so much for replying! Hi Nina, I really have no idea. I guess you’re just gonna have to wait. and it’s denied. Wow. Total of 51 days waiting for nothing. I wonder why it took too long if the verdict would be denied anyway where in fact they could have just sent it back to us like days or a week after applying. It’s very torturing and unproductive, tbh. Did you got approved, dear? Hi Shiela, not sure if pwede ang scanned copy. Di ko pa natry na scanned. Parating original ang sinusubmit ko (except ung residence card). If ikaw sasagot, you don’t need a guarantee letter. You just need an invitation letter and the others listed above na nag-aapply sa contact mo dun. If you apply as a tourist naman, you don’t need to book or reserve a hotel. You just need the name, address and contact number of the hotel you intend to stay in. Di kailangan ng actual booking. If you’re employed and have the means naman, mas madali talaga mag-apply as a tourist. a visa for visiting a relative immediately or the 6 months waiting period still applies? Hi Shiela, as far as i know, the 6 months rule will still apply. Regarding traveling alone: I have friends who applied before and they traveled alone. Wala namang problem. I think as long as okay naman and pasado sa kanila yung mga requirements, okay lang. Although, mas malaki talaga ang chance if may travel history ka na. Hello po, Me & my mom are planning to travel in japan, my mom has friend there that going to sponsored our trip. I will ask lang po kung possible po ba yun na dalawa kami ng mom ko sa isang sponsor? Magkahiwalay po ba kami ng application since I’m a student? Need po ba ng ITR & Bank Certificate of my mom for me? My mom been there already but still di pa rin niya po kasi kabisado yung patakaran. Thank you & God bless, sorry for a lot of questions. I will ask lang po kung possible po ba yun na dalawa kami ng mom ko sa isang sponsor? —— Yes, pwedeng isang sponsor lang. Need po ba ng ITR & Bank Certificate of my mom for me? —– If may guarantor, di na provided na masubmit yung requirements na kailangan from guarantor. Pabasa na lang sa taas. Yes po. Magkaiba kayo ng form. Hi po may anak po akong 2 sa x japanese husband they are both japanese.. we are planning to go back in japan soon ano po ang kailangan na requiremnts for me? Coz my daughters they have japanese passport… for me as a mother what is d requiremnts? Hi! Naku, hindi po namin alam kapag ganyan. Best to just contact an accredited agency directly. Yep, ikaw ang magsasabi kung ilang days ang plano mo. But depende sa embassy kung iaaapprove nila based sa documents (funds/employment/etc) na isusubmit mo. Mas strict sila in general kapag 90 days ung iaapply. If you have a guarantor, you don’t need to submit your own bank account. Just submit the docs needed from your guarantor as listed above. Hi OJ, I have no idea about 90-day visa. But some members of our community might have. You can join our Facebook group and post your question there. Baka someone knows. 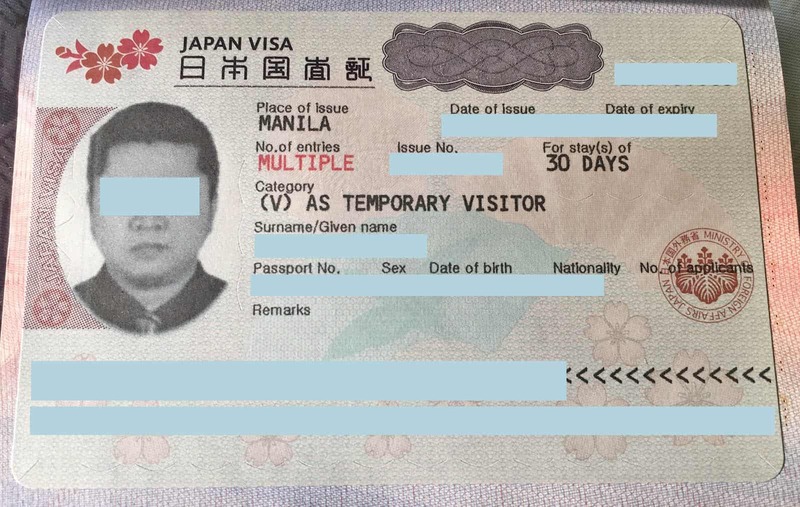 My friend (Filipino) plans to go to Japan with a sponsor visa from a Japanese friend. Would you know if it’s possible and allowed to look for a job there (if lucky) at the same time? Do you know someone who had experienced such case? Thank you. We mentioned sa article sa taas po. Ask ko lang po kasi pareho tayo ng situation. I have also a sister who is residing in Japan. My trip will not be sponsored by her. Ask ko lang po sa application form may nakalagay na guarantor and invinter. Since madali lang naman ifill out, i-blank mo na lang muna tapos i-ask mo na lang sa agency kung saan ka mag-aapply to be sure. Hi! Ms Danica ask ko lang po sana if ano po nilagay niyo kasi same situation po tayo. at the same time dun sa portion na “Nationality and Immigration Status” ano po pala nilagay niyo dito? thank you po in advance. ask ko lng is there any possibilities na ma denie ung application mo kung mlmn nilang naging tnt ka before… but it almost 7 yrs ago when they sent us home. hi ask ko lang poz. 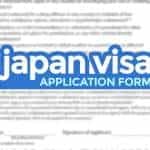 US immigrant po ako anu po mga requirements pag gusto ko mag apply for tourist sa japan? We have no idea po pag US immigrant. Hi,I’m planning to visit Japan soon to visit my fiance’s sister who is sick.,my problem is I don’t have ITR but I have my bank account and properties..my fiance is a retired Japanese and staying here with me in the Philippines for 5 years..
Hi Myra, you have two options. Option 1 is to write a cover letter explaining why you don’t have an ITR. But it only works if the reason justifies it. Option 2 is to have a guarantor. By having a guarantor, you will no longer have to submit your ITR and bank docs, but you’ll need to submit the reqs needed from guarantors, as listed above. Hi! As I told in my first message, I will travel together with my fiance and he is willing to shoulder all my expenses, He is a retired Japanese living with me here in the Philippines, he doesn’t have Ute now because he is already retired.. Is it possible for him to be my guarantor even he is living now in the Philippines? I don’t know the answer to that. Best to consult an accredited agency. How to apply fiancee visa? Hi sir.good noon.ask ko lng po kung paanong paraan ko mabibisita ang fiancee ko sa japan?meron po bang fiancee visa? Hi! me and my family will travel for the first time in japan for a cruise that includes a stop in korea before going back to japan. i understand that its quite difficult to get a multiple-entry visa for first time visitors. what can u suggest po? and what is the earliest possible time we can apply for the visa? april 2019 po yong cruise. tnx. Hi, i have this problem kase my mom doesn’t have bank account sa japan bcuz she was blocked, though she can provide everything except bank certifcate, but somehow I have one. But the only problem is Im a student and i cannot provide the income tax return, so can the agency considered my situation or nah? Hi If my guarantor is from US ano need nya provide? same thing ba estated above na requirements for with guarantor? anyway i have work naman for 2 years and have 80k in my bank account. and we travelled some asian countries, i ask my fiancee to be my guarantor just to make sure ma grant visa ko. Yung 80K, okay na yun. Marami akong kilala na 50K lang, naapprove na. Not sure about the requirements pag foreigner ung sponsor eh. Best to consult a travel agency. There is a different set of requirements for business-related trips. Usually, it involves a Travel Order and business documents of your employer (among others). Check the embassy website for the complete list. I planned to go to Japan on April,2019 to meet my boyfriend’s family before wedding namin sa Cebu. My boyfriend is a Japanese peru without guarantor ang visa na i aaply ko. Pwedi kayang e state na reason yung e meet ang parents nang boyfriend ko ? Hindi kaya ako ma question nang embassy ?? Hi Lylie, to be honest, feeling ko laging may risk if yung reason ay about boyfriend/girlfriend. 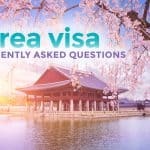 Is it okay to apply for visa this year but travel date will be 6months after? Schedule not definite for the travel. Hi! Usually, yung visa ay nag-eexpire after 3 months (90 days), so ideally, ang earliest na pag-apply ay 3 months before. Hi. Okay lang po ba kung Bank certificate lang ang masusubmit? Invite ko kasi mom ko and 4 months palang ako dito sa Japan. Hi jackblack, ang alam ko, kahit one lang dun sa 3 ay okay lang. Nung first time kasi ako na nagapply na visiting relatives, di rin all 3 yung sinubmit. Pero best talaga if all 3. Hi po. Ask ko lng po kasi im already a permanent resident here in japan and i have a friend sa pinas now i want to invite here in japan kasi tagal n namin d nagkita and makapag bonding kami uli but its not her first time to come in japan shes living there before and deported for overstaying but it was 10 years ago, they will allow her again just a short time visit? Hi Mika, naku, I’m not that familiar with the rules covering that. My guess is it’s going to affect her application because it could still be on her record. hi. I would like to apply for a tourist visa with a guarantor which is my Mom who is also travelling with me. In the application form, there is a guarantor section. Does it pertain only to guarantor from Japan or I should fill it up also with my mother’s info? thank you! Hi Sha, yung experience ko when I joined a friend na mag-apply, dun niya sinulat ung guarantor nya na based in PH. Di ko lang alam if ganun pa rin ngayon. Hello Po good pm ask ko lang Po meron Po ako fiance and then siya Po magiging gruarantor ano po mas maganda visa ang kukunin kasi gusto Po niya 90 days Po Thank you Po . Mas mahirap kunin ang 90 days na visa and mas prone na ma-deny yun. Call na lang the travel agency kung saan mo balak mag-apply for details. Hello, may question ako. May plan kami magpunta ng Japan next year. Kasama ako, mama ko, friend ni mama ko (american citizen) pati yung nephew ng friend ng mama ko. Ngayon, ang balak ng friend ng mama ko na american citizen is sponsoran kami papunta sa japan. Lahat ng expenses sa kanya. My question now is kaming iisponsoran kailangan din ba magsend ng ITR, bank accounts? Or kung meron man na requirements. Anu-ano po sila? Maraming salamat sa sagot. Hi Anne, may bibisitahin ba kayo sa Japan? Or as tourist lang? Hi! I plan to visit Tokyo on March 2019 for 7 days, but I will be staying at a friend’s home. I don’t have the residence certificate yet but if ever, okay lang po ba na mag-apply ako for tourist visa instead of for Visiting Friends/Relatives? Then can I just show the invitation letter and residence cert. at immigration instead? Also, can you please advise which of the two visa types will I have a higher chance of approval? Since this will be my first solo trip abroad, and my first time abroad after a long time. I’ve also read about how they’re cautious towards single females who have no established travel history. I employed naman po and have sufficient balance in my bank account (based on this post). Hi Ali, I’ve done that before, although not intentional. I applied for a tourist visa for a trip to Kansai but that trip was cancelled. Later on, I had to visit my sister in Tokyo, so I used the same visa. I didn’t have any problem. So I think it’s okay. I’m not sure though. The better visa type is the one that you can support better. If your funds are not that big, better na Visit Visa and have an Inviter/Guaranter. Pero if kaya naman ng financial and employment docs mo to stand on their own, Tourist Visa is simpler and cheaper. Hi! Thanks for the response! Another question po. If I do get approved, is it okay to present a scanned copy nalang of the invitation letter to immigration on the date of departure? Or would they still look for the original copy? Hi ALi, I don’t know for sure. Pero you can just have the original to be sure. good eve po . 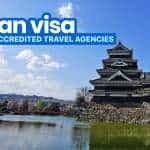 ask ko lang po sana nkapag apply po ako extension visa for my parents for temporary visiting here in japan nung dec 28 but Jan11 po ma expired po visa nila which is kakarating lng po ng hagaki ngaun po sa bahay d po ba magkakaproblema yun ? tsaka kung hindi man po pwede po ba sa friday ko na ipupunta sa immigration ung hagaki na dumating kasi po total nkalagay nmn po vali til jan 24 pa po sya . And wala rin po akong alam sa extension visa. ay ganun po ba extension of stay kasi ung tatanong ko sana . Nope, di mo kelangan maghintay ng 6 months kung di ka naman denied. Ako ung nag-apply for my cousin for VISITING RELATIVES visa na kakauwi lang din namin from Japan ng November Week 1 tapos need na bumalik ng December Week 1 so November Week 3 pa lang, nag-apply na kami ulit, wala namang naging problema. Ganun po ba. Salamat po sa info. Since 2019 na po today, pero wala pa pong nirerelease na ITR for 2018. Yung 2017 ITR pa rin po ba yung isusubmit? 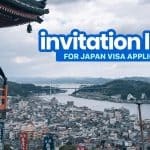 hello po ask ko lang po sana yung sa letter of invitation and guarantor letter na pini-fill upan ng mag iinvite sayo pa japan okay lang bang ipasa sa agency un ng naka japanese words (since ung guarantor ata mag provide non) pag mag aapply ng tourist visa or fiancee visa? diko po kasi masyado na gets sa part na yon. Di ko po sure pero ang alam ko po okay lang yun na in Japanese. ung asawa kong hapon ang guarantor para kunin ang mother and brother ko sa pinas papunta dito sa japan. pero ako naman ung nag iinvite…. ung pinasa nila ang papel sa agency. ung copy license ng asawa ko binalik nila or di nila tinanggap, kundi residence card ko lang kinuha nila. pero dati dati kinukuha naman nila ung license ng asawa ko. 3 times na kasi nagpupunta dito mother ko lang. ngayun dalawa sila sabay kukunin ko. nagtaka lang ako na bakit di na kailangan ang copy ng id license ng asawa ko. Hi cent_derela, by “kukunin”, what do you mean exactly? If wala po kayo bank account, best to have a sponsor po na ideally immediate family member para bank account nila ung isusubmit. Hi Bell, pwede naman anytime. Ang alam ko wala namang limit yun. Naranasan ko nang mag-apply within the same month ng pag-uwi ko from Japan, wala namang naging problem. Pero tama naman yung agency nyo, wala naman yun sa gaano ka-soon ka nag-apply ulit. Kasi last November lang, I applied for my cousin na less than 2 weeks lang after nya makabalik, naapprove naman. Ang feeling ko na naka-taint sa application mo was the fact na lumagpas ka sa extension ng previous visa mo. And whether or not kasalanan mo yun or kasalanan ng Japanese Immigration, I don’t think may time sila to check or verify given na ang dami nilang pina-process in a day. They only have a few minutes to assess each application so if may something off, baka dine-deny na nila agad. Speculation ko lang naman yan. Hi, i’ll be applying for a tourist visa for april 2019 trip. i already have plane tickets and hotel booking (with free cancellation) but my friend who is working in japan said i can stay at her place instead para makasave sa accomodation cost. My worry is paano pag immigration will ask me saan ako mag stay, pwede ko kaya sabihin na sa friend ko ako magstay kahit nakatourist visa ako? Possible po kaya na maapprove po kami ng multiple visa entry if first time lang namin mag visit ng japan? Ang plano po sana namin 5 days in tokyo (since relative ng friend ko nagstay sa tokyo japan) . Then pupunta kami ng osaka and magstay po kami for 3 days. ang entry po namin tokyo and exit po ay osaka? What are requirements for senior citizens who will just spend a vacation in Japan for 10 days? What if my Japanese citizen cousin will be the one who will invite me and be my guarantor? Is it still fall under the close relatives? Hi Mikka, sa definition nila ng close relative, di kasama ang cousin pero I was able to apply for a family member na ang inviter/guarantor ay first cousin din sa Japan and yep, yung birth cert nya + parent’s + inviter’s parent’s + cousin’s ang ginamit. Kaya lang, Pinoy ung inviter sa casa na un. I think okay lang kahit Japanese. Hello ma’am we’re planning to visit japan this sept, am62years old i have a phil. passport and used already when we traveled in singapore and vietnam. My worries now is that my birthcert was a late registered i have no baptismal cert. And have no form 137 ihave a high school diploma voters cert and marriage cert. drivers license also. would this be enough docs to show for applying a japan visa pls reply. Thank you.